Where you do your yoga teacher training is a personal decision. Here’s why I decided to do my yoga teacher training at the beach. Picking the best yoga teacher training in India is hard. There are so many schools and so many different programs offering different things, but how do you know which one is right for you? I can tell you I was confused. But I knew one thing: if I was going to invest in such a rich (but intense) experience I was going to do it somewhere surrounded by nature. I was going to do my yoga teacher training at the beach. 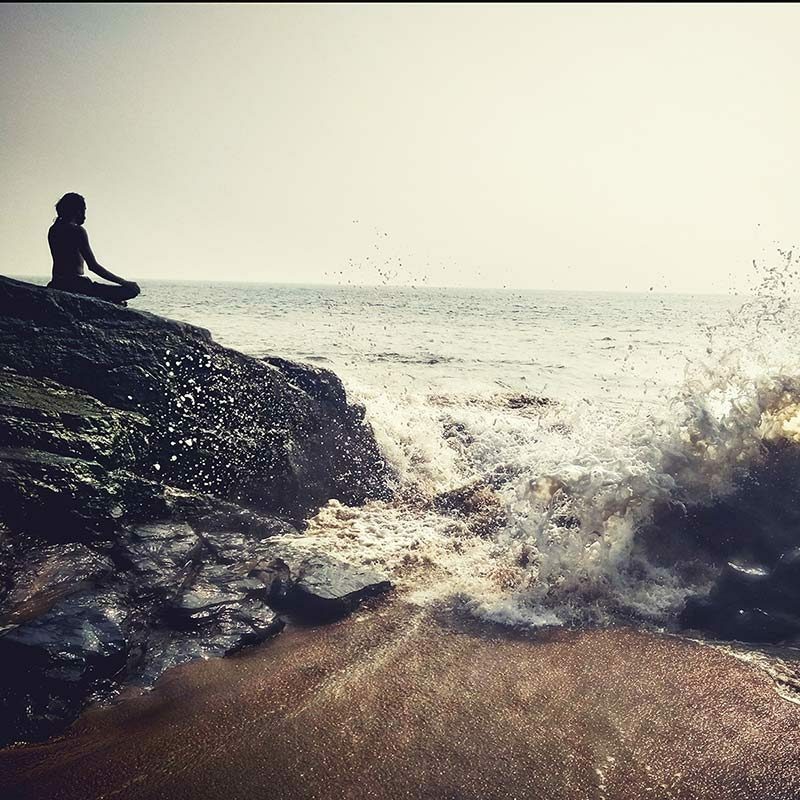 This is why when I arrived in peaceful, vibrant Gokarna I knew that I was in my new home. Before I picked my school I was teaching English in Bangalore and had most of my weekends free. We would take this opportunity to go on trips to all the wonderful places around us. And I would use this time to visit all the yoga schools in that area. I had been researching schools online but found it very hard to get a full picture of the courses. So I decided the best way to know was to actually see for myself. So I did. I saw many schools in various places such as Mysore, Dharamsala, and Goa. Then, I found Gokarna. When I stepped off the bus I knew this place was special. There is such a beautiful, positive buzz everywhere you go. It’s a tranquil, spiritual town with a healing energy. From the palm trees, kind locals, fresh fruit stalls, playful monkeys, and magical beaches – I knew that I had found my paradise. 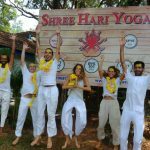 The next day I was walking down one of the breathtaking beaches when I saw an advert for Shree Hari Om yoga school that was offering yoga teacher training at the beach. Something about this felt very right so I followed the short path up to the school and saw that there was a drop-in class starting. I met Hari and at once felt comfortable. The cogs in my head started turning. I mean it wouldn’t be bad to live directly on the beach for a month would it? Funny that I had spent so long looking for a yoga school and just when I was starting to get frustrated the perfect place appeared on my path. Thank you, universe. That evening I made up my mind. I was going to do my yoga teacher training at the beach surrounded by coconut trees and monkeys. And I can tell you it was the right decision. The location, honestly, was a blessing. So let me tell you why living and doing your yoga teacher training at the beach is the best decision I made. Imagine you had a long, intense, yet fulfilling day learning all about yoga philosophy and anatomy. Imagine you’ve just finished a sweaty and rewarding ashtanga practice. What do you want to do? Do you want to sit in a room in a city surrounded by traffic? Do you think the sounds of cars honking is relaxing? Or, would you rather walk 2 minutes, jump in the sea, and watch the glowing pinky-red sun set over the water? Would you rather watch the sunset with clusters of people experiencing nature’s beauty every day? Maybe buy a chocolate moose from the small quiet market on the sand? Then, maybe make your way to dinner in one of the seafront restaurants so that you can eat looking at the stars and with the music of the waves crashing on the shore? For me, I need that peace. I need to connect with nature every day. I adore the feeling of warm water on my tired body after yoga. So this why doing my yoga teacher training at the beach is my ideal. 2. Falling asleep to the sound of the ocean. You know what is also incredible about doing your yoga teacher training at the beach? Sleeping next to the sea. AKA going to sleep to the sound of waves lightly crashing on the shore. I say no more. 3. Dips in the sea – and naps – before lunch. During the classes we had very generous lunch breaks. Do you know what this means? Time to jump in the sea and get a little sun before lunch is served. I know we are here to learn, but it needs to be a pleasure as well, right? Some people, AKA me, also took this time to strategically nap. Napping is glorious, everyone should nap. 4. Headstand practice on the beach. Another great thing about the beach is that sand is soft. Bear with me. How is your headstand/handstand? What’s the best transition from wall to no-wall. BEACH! No more fear of falling. What’s to be scared of when you are falling onto a comfy mattress of sand? Nothing. Absolutely nothing. So we took this opportunity to practice after class. And guess what? I can now officially do a headstand and got no bruises in the making. 5. Meditation on the beach. 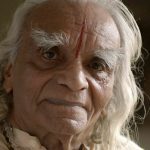 In Gokarna not only did we live by the beach, but we also had incredible teachers. This meant some early morning meditation classes on the beach. (Thank you, Em!) There is nothing more peaceful than meditating on the soft sand with the sound of the water rippling and birds singing in the background. When you open your eyes and see the hypnotic waves and clear skies you know that there is no better way to start your day. For me, it’s so important to connect with this beautiful planet and find stillness within me. The morning meditations were truly a blessing. What’s not good about yoga teacher training at the beach? Do NOT get a massage after relaxing on the beach. Oil and sand is painful. It’s like getting your whole body slowly but surely sanded down. But did I tell them to stop? Nope. Did I enjoy the experience? Also nope. Please learn from my mistake. You get sand everywhere… and I mean EVERYWHERE. Sand is in all your clothes and bags. I am aware when I leave I will tipping out sand for months. To avoid this I have decided not to leave. I like to call myself a problem solver. It’s true… I am never leaving. What I mean is I’ve decided to stay and teach with the Shree Hari yoga school. When you’re part of a family it’s hard to leave. PS – If you are looking for an experience like mine I highly recommend doing your own research. Bear in mind the location because this will be your new home for a month. 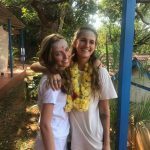 If you check out the Gokarna page on this site you’ll find even more information about yoga teacher training at the beach.